The confidence of youth is wonderful. We’ve all been there, but I, for one, must have been insufferable! It was Sir Isaac Newton who said, towards the end of his illustrious career, that he felt he had been merely playing on the seashore when the great ocean of discovery lay before him. As we get older, we begin to realise how little we know, but it seems there is no shortage of younger people to remind us of that. I remember well the newly qualified dive guide, a lone American girl working in a French Caribbean resort, giving me a dive briefing that included putting my finger alongside my nose before drawing it down to find the dump valve on my BC before an ascent. I was more surprised after she offered to model for my camera but later berated me for swimming ahead of her and three feet below her in order to get a picture of her. I’d draw a veil over the young liveaboard guide who accused me of not listening while he read out my old dive briefing notes that I had written on various sites when I had been his predecessor. It was embarrassing when, on a press trip with ex National Geographic photographer Mauricio Handler, we were both told by a young dive guide that the dive on the wreck of the Rhone would be to sixty feet for 20 minutes and that we were not to leave his side. We both did our own thing once we hit the water. Even seemingly trivial changes to our established routines, insisted on by the well-intentioned, can put us off-balance. Most of us are never too proud to let someone else carry our gear, or get a lift to the jetty with heavy camera kit when younger people have to walk. In developing countries young people usually demonstrate a respect for age. 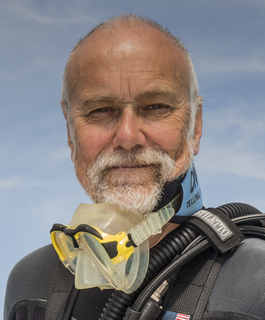 However, as David Haas (Stow OH) with 47 years diving experience as both instructor, dive store owner and trip leader, suggests, “I also would add there is [often] a huge disparity between dive guides in the Pacific and the Caribbean. Dive guides in Asia in general are not only more interested in showing divers marvelous things, they truly seem to care about their customers enjoying themselves overall. They are also much more aware of the average sport diver client’s skill and pay attention to potential problems almost unnoticed. They make it look so easy. I’ve also found (at least in the Philippines) the average dive guide has many more hours leading dives before being turned loose, than in other locations. Youth is a wonderful thing, but you can’t make a career out of it. ← The Great Barrier Reef is dying. Why does nobody seem to care? John, as a diver with 58 years’ experience and over 5,000 dives, I chuckled reading your column. I too have experienced numerous young dive guides who were well-intentioned but displayed poor judgment, both in their customer interactions, and more importantly, in their behaviors underwater (e.g., conducting an entire dive against the current, improperly assembling a diver’s personal gear with which they are not familiar, leaving part of their group to tend to another part, etc.) Young divers may generally have more physical stamina, but like young motorists, often lack the experience to know their limits and to take appropriate precautions. It takes a while to develop the humility to survive and prosper in the ocean.